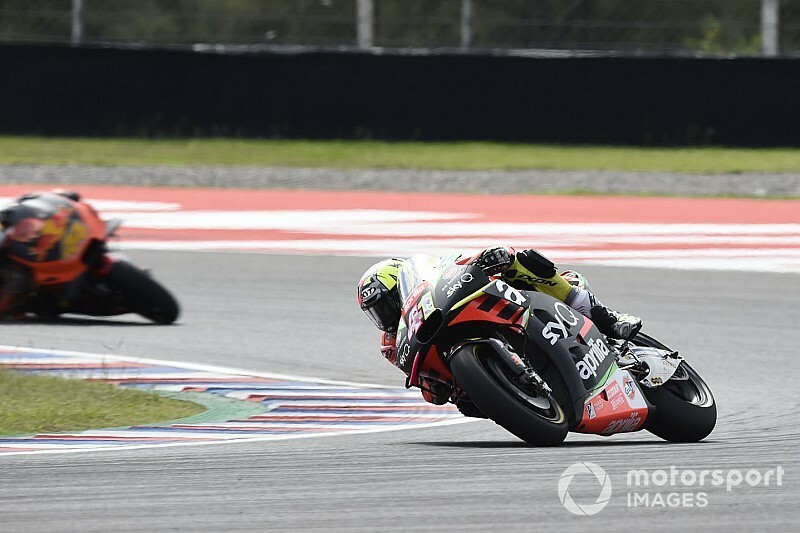 Aprilia MotoGP rider Aleix Espargaro believes that the last big problem the Italian marque needs to fix is acceleration after an encouraging first two rounds of the 2019 season. Aprilia had a poor 2018 campaign but its '19-spec RS-GP is more similar to the 2017 bike, and also more to Espargaro's liking. 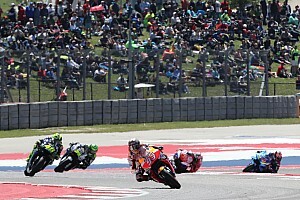 While the team did not make a significant step forward in terms of results, Espargaro finished 10th and ninth respectively in the first two races of 2019, and is currently ninth in the standings. Espargaro said that bringing back the '17-style bike allows him to be strong on braking, and only pointed out issues with lack of rear tyre traction, which compromises acceleration. He said: "We have to improve the traction. The first touch of the throttle I slide a lot and I destroyed the tyres [in the Argentina race]. "Also in Malaysia, Qatar, with the '19 bike I feel like in a year like '17. A lot of good front feeling, I am very strong on the brakes, I was braking a lot later than everybody, carrying a lot of corner speed into the entry. "As soon as I touch the throttle, the rear tyre slide. We are not able to load the rear and to create traction and this is a problem because if you want to follow the top guys, I slide a lot and obviously you got the consumption of the tyres higher. "It's our target right now, we knew from the last three tracks. I hope that in Austin we suffer a little bit less and we have a test on Monday and have some ideas to try, hopefully we can improve a bit. 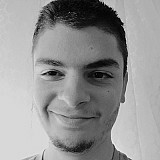 "I am happy also about the engine, it is strong in fifth and sixth gear. We are suffering in acceleration but I think it is a combination between the engine and the traction because if the traction is not good you can not have a really good acceleration. "I am happy with the top speed of the bike, I don't lose like in the past so this is already a good advantage." 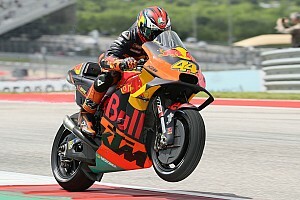 However, Espargaro added that Aprilia is "still far" and he can't compete against the top teams. "A little bit better [than last year], but still we see the front group in front of us but we cannot stay with them," he said. "This is the objective and we are still far. 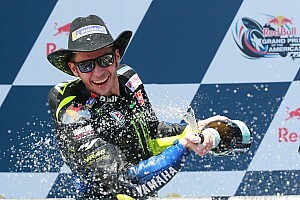 "After two rounds to be ninth in the championship is good. Until we are not ready to fight for top six every race, it is good to finish and top take points."